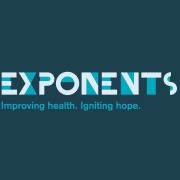 EXPONENTS is a nonprofit organization located in the heart of New York City compassionately dedicated to serving those impacted by HIV/AIDS, substance use, incarceration, and behavioral health challenges. We deliver these services through a client-centered, strength-based approach which greatly improves health outcomes and promotes overall wellness in our communities. EXPONENTS leadership are pleased to invite you to join its newly formed Junior Board Program for professionals in their 20s and 30s. Membership on the Junior Board offers a unique opportunity to personally participate in carrying out the mission of a great organization. To join the Junior Board, each member undertakes the responsibility of a $250 membership per year. Corporate mating gifts are welcomed.